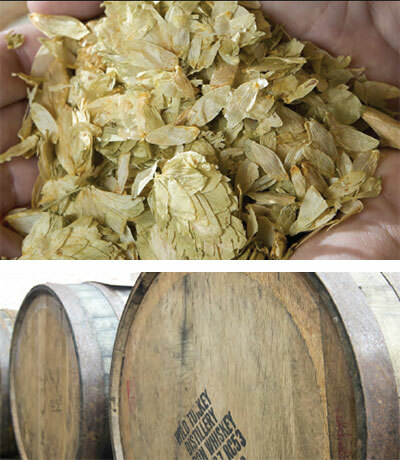 Beer comes in a variety of styles: Thin and hazy, carrying the piney fragrance of hops. Opaque mahogany, topped by a thick creamy head. German lager. Czech-style Pilsner. Crystal-clear sour beer, dry as a bone and sparkling with notes of champagne. Whatever your preference, there is an art and science to making that particular style. And around here, we’re blessed with an abundance of makers. Fueled by a decade of craft beer-friendly legislation, South Carolina’s brewing scene has exploded from five breweries to more than 50. And while most of these breweries are in Charleston, the handful that call the Lowcountry home prove that quality is much more important than quantity. But with a local brewing tradition dating back to 1994, Hilton Head Brewing Company is definitely first on the list of local breweries. Migliaccio started as head brewer in March of last year, and he and brewer Nick Farstad have been busy supplementing the lineup of classic beers like the Tropical Lager and the CRAB Pilsner with unique variations on classic recipes. And with the expanded outdoor deck at the taproom, it’s even easier to enjoy a pint on-site. Be sure to try the pumpkin beer that should be ready by the end of October. If it’s not ready when you get there, try whatever the “raise a pint, raise a dollar” draft is and help out the nonprofit Neighborhood Outreach Connection, an afterschool program for underserved kids. “Around here, a lot of people are digging IPAs and Pilsners,” said River Dog Brewing Co. head brewer Amelia Keefe. And those who drink IPAs around here know that River Dog Brewing Co. makes one of the best. When she first started as head brewer two years ago, Keefe’s first order of business was to tweak the hops on the brewery’s flagship IPA, making it even better. She also rolled out new seasonal beers and creative twists on classics like the Black IPA and the Hibiscus Hefeweizen released in October. Trained at the American Brewer’s Guild, Keefe brings an almost mad scientist approach to brewing, unleashing a creativity underpinned by a deep understanding of the chemistry and biology that goes into beer. The result is an ever-evolving product line that has made River Dog famous beyond the Lowcountry. “IPAs are a hit no matter where you are, but we’re seeing a lot of success with Helles Lager and Damn Yankee,” said Southern Barrel Brewing Co. head brewer Stefan Zurakowski. Having taken over brewing operations at Southern Barrel back in March, Zurakowski is already putting his stamp on the award-winning line of beers at the Buckwalter brewery. 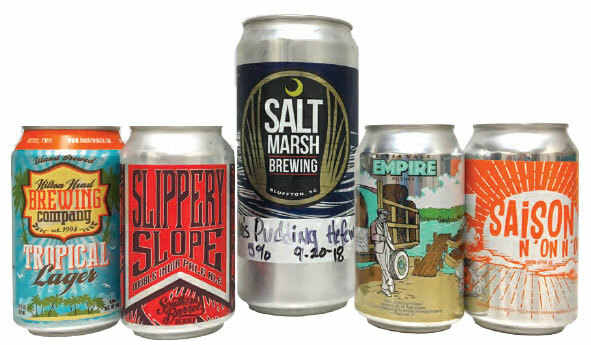 He made slight refinements to the flagship beers, completely overhauled some of the products, like the Slippery Slope Double IPA, and introduced a few new developments. He also started using the decorative grain silo out front to actually hold grain. “I never understood why they weren’t using it,” he said with a laugh. “One of the things I implemented was Friday night tappings with a new beer every Friday,” he said. The small-batch system has been key to the new weekly tappings, fueled by the creativity of Zurakowski and brewers Matt Tkaczuk and Phillip Cox. Going forward, Zurakowski plans to focus on IPAs with new roll-outs of hops-centric beers, and fans of the small-batch peach cream ale Phil’s Phuzzbuster will be happy to know it may see a full-scale batch next summer. Tucked above Fat Patties in Old Town Bluffton, Salt Marsh Brewing is the definition of efficiency. This nanobrewery manages to put out enough beer for not only the restaurant downstairs, but bars and restaurants across the Lowcountry that want to offer a true taste of Old Town. The six beers on offer run the gamut from the refreshingly light Tabby Porter to the so-crazy-it-somehow-works Nana’s Puddin’ — a hefeweizen with notes of vanilla and banana. And if you’re a hophead, the Broad Creek rye IPA is a piney glass of heaven. Here are a few of our fav's. For connoisseurs: The delicate wheat flavors present lightly on the nose, underscoring the subtle sweetness of a traditional hefeweizen that balances a heavy presences of bananas. For regular joes: If you like bananas, this is a great way to expand your beer-drinking palate. If you don’t like bananas, move along. For connoisseurs: A straightforward lager, golden in color and bold in flavor, with just a touch of sweetness to temper the hops. Recent brewings of this famed standby have noticeably toned down the apricot flavors that once risked overpowering. For regular joes: High marks for crushability. This is your go-to beach beer. For connoisseurs: As rich in color as it is in flavor, this classic American pilsner takes all the notes of grain and hop that typify the style and crank them to 11. A slight spice note presents on the nose, adding a subtle twist on tradition. For regular joes: You like beerflavored beer? You’ll love this. For connoisseurs: Richly sweet and balanced, this farmhouse-style ale presents delicate notes of pepper and spice that intrigue without interfering with overall drinkability. For regular joes: A great sipping beer if you can handle a little bit of sweetness. 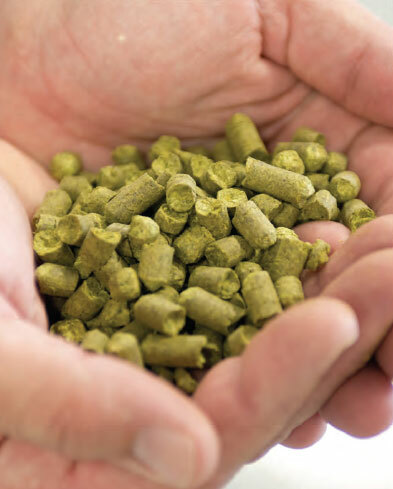 For connoisseurs: Robust hop notes on the nose presage the rich, piney flavors that await. Rather than overpower, the hop notes find a perfect complement in lush citrus flavors, creating exquisite drinkability. For regular joes: It’s called Slippery Slope for a reason. Beers that are this high gravity are usually not this crushable.